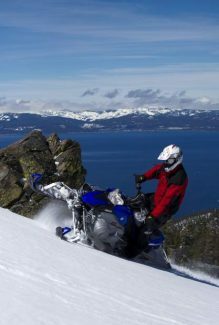 Snowshowing at Lake Tahoe is a must-do for any local or visitor. For a stretch of five years, the biggest hurdle standing in the way of a successful snowshoe outing was snow, or lack thereof. 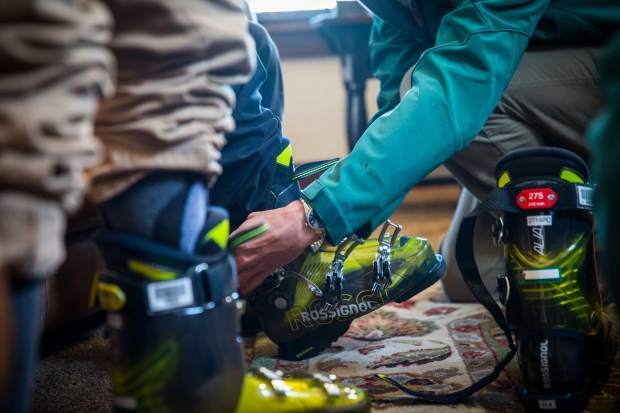 That all changed with the past two winters, especially the 2016-17 winter, which helped bring California out of a crippling drought and made for excellent snowshoe conditions in the Tahoe Basin. As long as the snow gods are smiling upon us, there’s no shortage of top-notch terrain for snowshoeing. 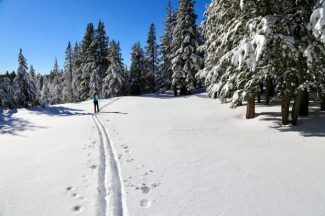 Regardless of ability (unlike other winter activities, there is almost no skill involved in snowshoeing, so ability boils down to fitness) there is something for everyone in the Tahoe-Truckee region. Below are five recommendations that vary in location, distance and difficulty. 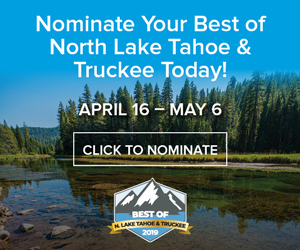 Lake Tahoe is the gem of the Sierra, but Donner Lake, located a couple miles west of Historic Downtown Truckee, holds its own when it comes to beautiful alpine lakes. The state park, located south of Donner Lake, offers more than 8 miles of designated trails, which make the park popular with both snowshoers and cross-country skiers. Within the larger trail network are multiple loops that are great if you’re looking for a short, easy and scenic stroll. History buffs can check out the Pioneer Monument, located where the Schallenberger cabin used to stand. The monument pays homage to the pioneers who passed through the Sierra en route to the West Coast. Donner Memorial State Park also serves as an access point for publicly owned land in Coldstream Canyon. Once over the ridges, the canyon offers scenic flat land perfect for snowshoeing. Snowshoeing is like most things in life: the very best experiences follow hard work. For some of the most iconic views of Tahoe’s most frequently photographed location, you’re going to have to work. And it all starts with getting there. Winter storms and avalanches frequently close this stretch of Highway 89 on Tahoe’s West Shore, which makes planning prior to heading out all the more crucial. Once there, parking options can be few and far between depending on the amount of snow. As is always the case, park responsibly and be mindful of your fellow motorists (nobody likes trying to maneuver around a tank-sized SUV sticking 3 feet into the highway as oncoming traffic comes barreling at you). The Bayview Trail starts climbing quickly and serves as a solid workout when the trail is free of snow. Strapping on snowshoes only ups the rigor, so make sure to give yourself time and travel at a pace you’re comfortable with. The positive part about the sudden steepness is you don’t have to travel too far for the draw-dropping views to materialize. While stopping in the middle of a trail to shoot several hundred photos on your iPhone is never condoned, you will want to have your camera for this trek. The trail goes on for miles but is lightly trafficked in the winter, which can pose challenges for those unfamiliar with the out-and-back route, so plan accordingly and exercise caution. Located on the north end of Lake Tahoe, the trek to Martis Peak is the perfect route for an intermediate snowshoer or someone more advanced who wants to get the blood flowing and take in an amazing view of Big Blue. At about 4 miles from the trailhead off Highway 267 to the fire observation lookout just below the peak, this out-and-back jaunt follows an old logging road that is used by other recreators — including snowmobilers. While 4 miles may sound like a light outing, keep in mind it’s an out-and-back so the whole trip is closer to 8 miles. There’s also more than 1,500 feet in elevation gain, which puts this route on the upper end of moderate. Those who stick it out will be rewarded with some beautiful views of Lake Tahoe toward the peak. Take a break at the Martis Fire Lookout, which was built in the early 20th century, and enjoy the view. The numerous segments of the 160-mile-plus Tahoe Rim Trail are some of the most popular hiking routes in the entire Tahoe Basin during summer. However, the trail is less traveled in winter, when maintenance efforts are put on pause until the snow melts and the trail thaws out. Depending on the amount of snow, the lack of attention can make for some great snowshoeing. And if you’re in great shape and have two vehicles and enough time — as in a whole day, seriously — the Spooner to Kingsbury North segment is a fantastic stretch of trail for a winter haul. Aside from the diverse population of trees and epic views of Lake Tahoe from some of the peaks on the Carson Range, this stretch of trail is particularly attractive because of its accessibility. There are parking spots at both ends of the trail segment that are easy to reach — assuming the parking lots are not under 10 feet of snow, as was the case this past winter. 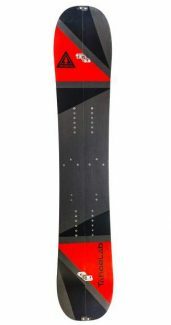 (In heavy snow years, early winter and spring are likely your best bets for access). If you’re strapped for time, you can shorten your outing and make it an out-and-back adventure. As is always the case when snowshoeing on an incline, avalanches are possible. Make sure to check conditions before venturing out. Heavy snowfall also can lead to falling trees and other hazards. If you’re looking for a light stroll on flat land, then this is the place for you. Located in Stateline off Kahle Drive, Rabe Meadow is one of those rare locations that is easily accessible regardless of how much snow winter wings our way. Start in the parking lot and meander through the meadow before entering an open forest. The absence of vegetation overcrowding leaves plenty of space for recreators of different types, and, when covered in snow, makes for scenic wooded views that will rival any Hallmark Christmas card. Emerge from the forest and you’ll find Lake Tahoe in all her glory. 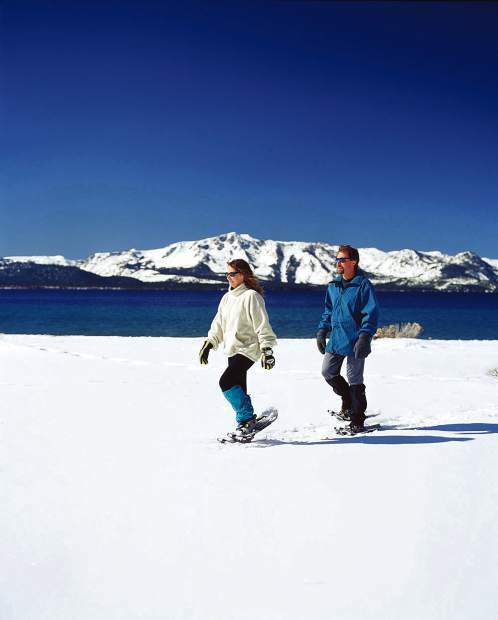 There’s nothing quite like crunching along on a snow-covered Nevada Beach. 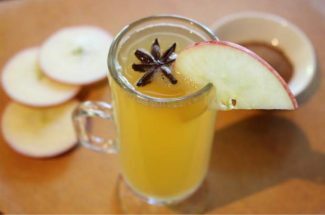 Bring a thermos of some hot chocolate (preferably spiked) and enjoy a warm drink as you stare out at the lake and snow-capped mountains in the background. Outside the normally still morning hours, you can sit and listen to the lake lapping up against the beach as you take in your view and beverage. The out-and-back trip should be less than 3½ miles altogether, although you can easily lengthen the outing by walking on the beach and meandering through the trees.